The Radar Museum offers a fascinating glimpse into the role of radar in major global military events and its impact on political history. The world’s longest continuously operating radar site, the museum has a number of exhibition rooms and interactive displays, from the Air Intercept room to reconnaissance, communications and engineering. You can climb inside the cockpits of military aircraft, learn about the history of the site and its role in the Second World War and the Cold War. If you love flying history, the City of Norwich Aviation Museum at Horsham St Faith, has a large number of display aircraft, from Vulcans and Jaguars to Hawkers and Helicopters. The Hippodrome Circus, tucked behind Great Yarmouth’s seafront, is Britain’s only surviving total circus building and this historic venue is as much a part of the experience as the show itself. It was built in 1903 by legendary showman George Gilbert and behind the scenes it has its own museum packed with 100 years of circus history. It includes a collection of colourful props and memorabilia, vintage lighting and technology, posters, signs and costumes from shows throughout the decades, old photographs and contemporary circus artwork. You can visit the museum after every performance. Caister Castle is home to one of the largest private collections of vehicles in Britain – from vintage, classic and sports cars to motorbikes and several rarities. Among its collection is an 1893 Panhard et Levassor, the first Ford Fiesta off the production line and Jim Clark’s Lotus. It also has a display of bicycles, horse drawn vehicles and pedal cars. The museum is in the grounds of the 15th century castle, built by Sir John Fastolf. If you love vintage vehicles, visit the Norfolk Motorcycle Museum, next to North Walsham train station. It has an extraordinary collection of more than 80 motorbikes from the 1920s to the 1960s. After huge fundraising efforts to save her, the Lydia Eva is now a floating maritime museum, offering visitors the chance to experience life on a traditional steam drifter. Along with the Mincarlo, which is moored in Lowestoft, the ship is rich in history. Built in 1930, it is the world’s last surviving steam-powered herring drifter. After nine years fishing at sea, the Lydia Eva was used in military operations until she was finally laid up in 1969. The Lydia Eva Charitable Trust was formed in 1989 to restore both ships for future generations. If you love hearing seafearing tales, don’t miss the Henry Blogg Museum in Cromer, celebrating the life of the heroic Henry Blogg, the most decorated lifeboatman in RNLI history. One of England’s smallest museums is the Mundesley Maritime Museum, perched on the cliff top in the coastguard’s tower and telling the history of the coastal community. This year marks the 50th anniversary since the broadcast of the first episode of iconic wartime sitcom Dad’s Army – so why not visit the Dad’s Army Museum in Thetford, the town where a lot of the show was filmed? Do a guided tour of location hotspots, see collections of props and memorabilia, discover behind the scenes secrets and visit the authentic 1940s Marigold Tea Rooms. Up the road, Bressingham Steam and Gardens has been the official home of the Dad’s Army Appreciation Society’s collection since 2000. The exhibition includes a recreation of various scenes from Walmington-on-Sea, the fictional home to Captain Mainwaring and his men, and some of old vehicles used. Surely one of the prettiest and most charming museums in Norfolk, Bishop Bonner’s Cottage charts the local history of the town and one of its most famous clergy. This beautiful, timber-framed, thatched building dating back to 1502, survived the great town fires of 1581 and 1679 and the bombs dropped during the Zeppelin raid of 1915. Its sloping ceilings, tiny rooms, twisting staircase and wooden beams instantly take you back through centuries of living history. The Fakenham Museum of Gas and Local History would be worth visiting for the name alone. Before natural gas was piped ashore, gas to fuel homes and industry was made by heating coal. In the 19th and early 20th century towns across the country had their own gas works, but today Fakenham’s is the only one left. 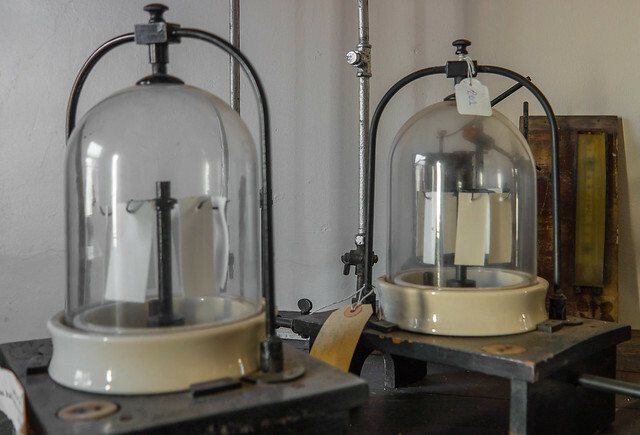 See gas-making machinery, the gas holder, gas lamps, gas meters, gas stoves and more. And it’s not just about the gas. 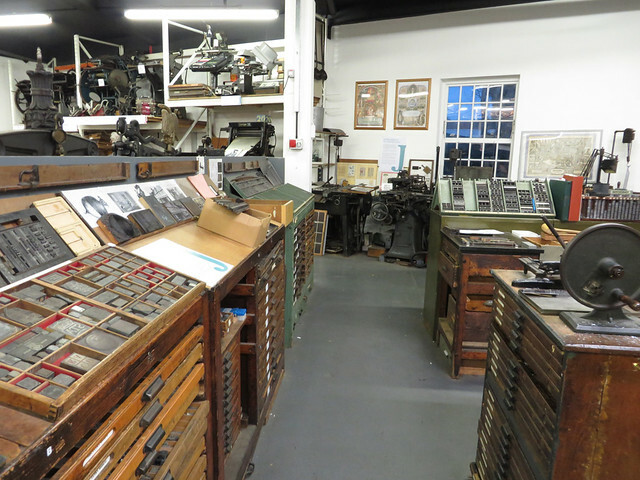 There are exhibitions highlighting Fakenham’s printing industry and wartime stories too. The museum, run entirely by volunteers, opens for the 2018 season on Thursday, May 17, 10am-12.30pm – and then again from 7-9.30pm, for the Museums at Night festival when a street gaslamp will be lit for an atmospheric recital of Robert Louis Stevenson’s poem The Lamplighter. Small but perfectly formed, like many of its beautiful exhibits, the Shell Museum at Glandford, near Holt, is the oldest purpose-built museum in Norfolk. Its exquisite jewel of a building is set close to a ford through the pretty river Glaven, and houses an impressive seashell collection plus fossils, local archaeological finds and a world-famous embroidery by a fisherman artist. Open Tuesday to Saturday, plus Bank Holiday Mondays, until the end of October. Children left lessons in a protest against teachers being dismissed – and didn’t return for more than 25 years. 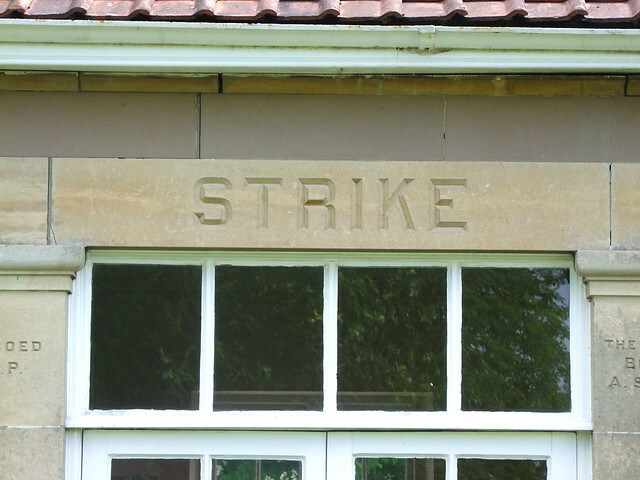 On the village green at Burston, near Diss, is a museum dedicated to the longest strike in British history. An alternative school was set up, by the sacked teachers, and this is now the Burston Strike School Museum. It tells the story, in photographs, posters and displays, of how Tom and Annie Higdon championed the education of the poorest rural children and clashed with local landowners and politicians. The mighty steam engine which once raised Tower Bridge to allow ships through is still regularly fired up in a tiny south Norfolk village. The engine is a centrepiece of the Forncett Industrial Steam Museum, run by retired doctor Rowan Francis in the garden of his home at Forncett St Mary, near Long Stratton. He inherited his fascination with steam from his father, an engineer who built railways at Wells harbour and from Walsingham to Wells. The first of his collection of decommissioned static steam engines was rescued from a Victorian vinegar works in London and the museum now includes restored engines which once powered laundries, waterworks, lace factories and breweries. Once a month from spring to autumn the engines are powered up for a glorious day of pounding, hissing and whirring. The first Steam Up Sunday of the year is on May 6. The collection is also open every Wednesday and Sunday. Ring a firebell, try on a helmet and see a fire pump once pulled by horses at the Stalham Firehouse Museum. Stalham had one of the first organised fire brigades in Britain, from 1833, and its original fire station, in the grounds of the parish church, is now a museum. Volunteers help visitors discover a fascinating history of fire-fighting in and around Stalham. Open Mondays, Tuesdays, Thursdays and Fridays until the end of September. Admission free but donations appreciated. 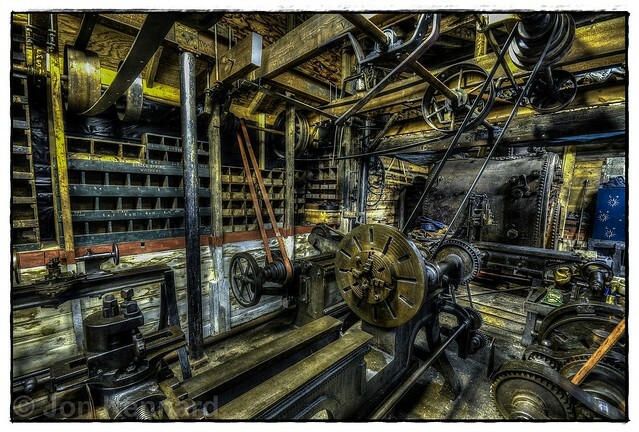 Experts who once worked in the industry operate the printing presses and type-setting machines in the John Jarrold Printing Museum. It opens just one morning a week for volunteers to show off an impressive collection of print-related exhibits from a building alongside St James Mill, Whitefriars, Norwich, which was build as a textile mill in the early 19th century and once housed the huge Jarrold printworks. Norfolk Museums Service runs 10 museums across the county which house a wide range of exhibits reflecting local, national and international social, natural and political history.